**I am so Proud to be Awarded the Gigmasters "Best of 2016" and now I just received "Best of 2017" - that's 2 years in a row now for Best DJ on this site!!! I truly love what I do, and that is reflected in all of the amazing reviews and kind words from the Clients that have hired me here on Gigmasters!!! When you hire me, you are insuring that your event will be covered by a true Professional, who takes the time to prepare and deliver exactly what you communicate that you want for your special Event - Weddings, Private Parties, Corporate Events... and I have a blast doing what I do!!!! I have only top shelf pro audio equipment from my P.A. to my elegant uplighting and awesome dance floor lighting. I have several P.A. 's to handle any gig, any size. Inside, Outside, small gatherings to Arena Events. Wireless microphones, also including Wireless Lapel Mic's for Wedding Ceremonies. Please never judge by price alone, if you like what you see on my profile of pics, videos, and reviews, just let me know your budget, and I will be glad to work with you! Sometimes this site can be difficult to bid on with only a sentence or two of description, so please reach out to me and let me know what your thoughts are - I specialize in delivering exactly what you want! Please read all of my "off the chart" reviews - they say it all. Weddings, Private Parties, Corporate Events, Clubs, ANY EVENT! Willing to work with any budget to make all of your Musical Needs simple and affordable! Easily can combine DJ and KJ Services to make a hybrid DJ/Karaoke show. And for those large Events, and sometimes to handle more than one gig per day, I team up with my Wife - Marcia, and she has become a huge part of all the success that DJ Musical Excellence has built on this site, and in this business. Many times a Wedding Couple may want a Band but realize that most Bands cannot cover "everything" as far as music required for a Wedding Reception. 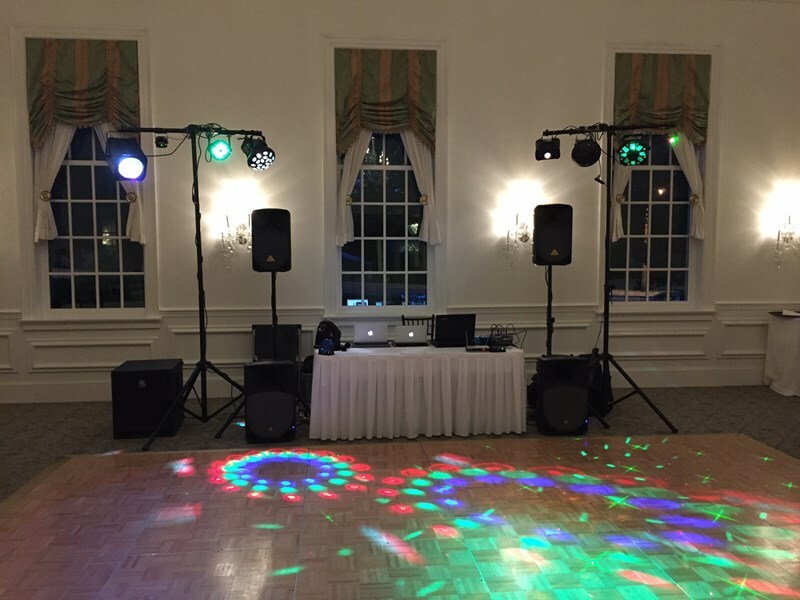 I also specialize in a DJ/Wedding Package that includes my DJ Services along with one of my Bands, or a Band of your choice, to insure all of your musical needs are met. This has become very popular lately, and I have had a great deal of success with this package. 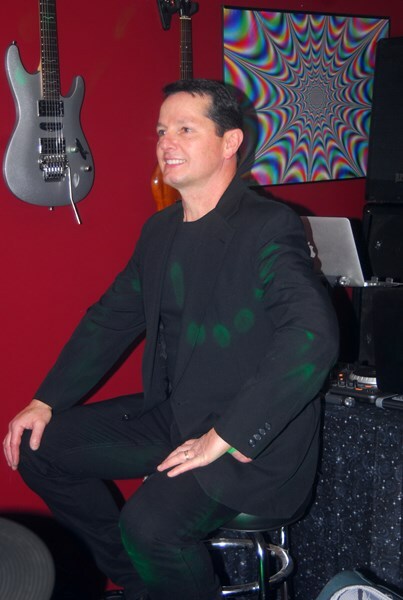 Therefore if you are looking for Live Music ,I play in a Classic Rock/Dance Band, as well as an Acoustic Duo and Trio, and Acoustic Solo performances. My Band - "Backup Plan" we play the DMV area as well as Baltimore and DC. I currently do a weekly Karaoke Show at Blair's Londontowne Pub in Edgewater,MD every Friday night. Cmon out and see what the buzz is - djmusicalexcellence and Backup Plan are the hot thing in he DMV!!!!!! Please email or call and allow djmusicalexcellence to bring all your musical needs to fruition, easily, and affordably!!!!! 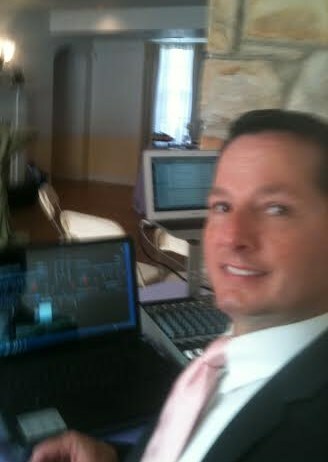 I couldn’t have asked for a better experience for my wedding reception than the one I had with DJ Musical Excellence. He was able to fulfill all our special requests, he went above and beyond to make sure we were satisfied, and even stayed longer than we originally requested. I highly recommend him for any of your DJ needs! Wow- thank you so very much!!! I truly appreciate your kind and generous comments! That was a beautiful day we spent together in Ocean City, both the outside Ceremony in the sunshine, and the rockin’ Reception at Harisons Harbour Watch! Thank you two for hiring me, and including me in your most special day... you made me feel like family, and I truly thank you!!!! DJ Musical Excellence was amazing. We didn't really have an itinerary for him but he made everything flow. Whatever song we requested he had. He constantly repeated "whatever you want just let me know". He is amazingly kind, friendly and professional in every way. So easy to work with. I would hire him again without hesitation. I RECOMMEND DJ MUSICAL EXCELLENCE to everyone. Tammy B.
DJ Musical Excellence played at our corporate function and made our 50th Anniversary event feel extra special! There was a great selection of music and Fred was so friendly and accommodating!! Would book again for future events! He was very patient with me, since I booked so far in advance. He was very profession al looking in his appearance and very accommodating since we started early. Fred was very professional. He was very thorough with all of the details and went above and beyond to provide us with help during the planning process. We had great communication leading up to the event to ensure we were getting what we needed. He had all of the equipment and music, etc. that he needed, and arrived at the planned time to allow for set-up. He kept our attendees (and our planning team) happy all evening! He was fun and energetic and helped provide a fun and memorable evening for us all! I would highly recommend him and would use his services again in the future if we were in the area for another event! Fred is the ultimate professional! He is very timely and responsive in returning messages and responding to requests. We gave him a playlist of songs and he played almost every song on our list. His equipment and lighting package is state of the art. Our guests had a great time dancing the night away!! We'll be referring him whenever anyone needs a DJ. Fred was fantastic. Handled the music and announcements like a pro. Very kind and accommodating to our guests requests. His equipment was top notch. I will definitely use him for other functions that I have in the future. Fred is a fantastic DJ and I am glad my new wife and I hired him. He adapted to several changes in our wedding timeline, even the location where his equipment was set up. He did a fantastic job; and volunteered at multiple points to help with anything else he could! The music was a big part of our celebration and he had everyone out on the dance floor. He's a really personable guy and it was easy to tell that music was his passion. Fred was great at reading the crowd; he knew what got people on the dance floor and kept them there. I wouldn't hesitate to use his services again. Very punctual, great sound system, excellent variety of music. Everyone had a blast! Thank you so very much for the fabulous review Robin! I so appreciate your business, and I had a fantastic time with you and your Staff!!! Please note DJ Musical Excellence will also travel to Arnold, Edgewater, Mayo, Riva, Crownsville, Gibson Island, Severna Park, Stevensville, Davidsonville, Pasadena, Crofton, Galesville, Gambrills, Harwood, Millersville, Shady Side, West River, Chester, Churchton, Bowie, Deale, Glen Burnie, Odenton, Fort Howard, Lothian, Baltimore, Claiborne, Grasonville, Mcdaniel, Severn.